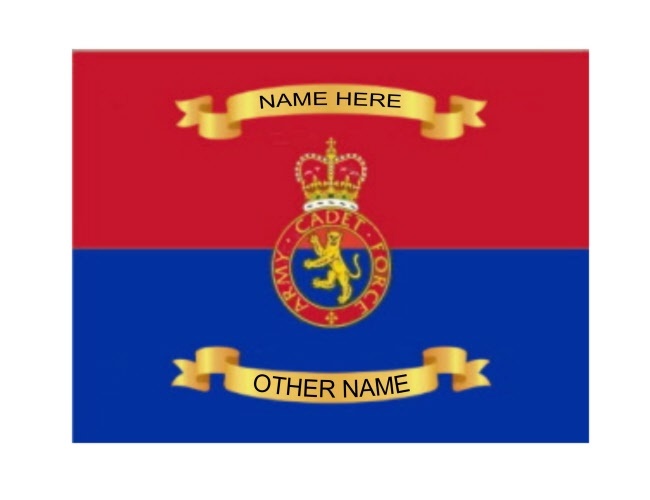 This is a beautiful embroidered flag on both sides with any name you like. 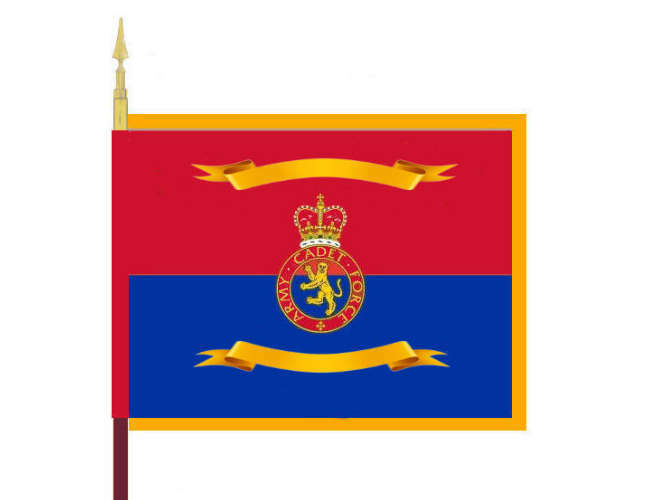 We will show you a mock up for your approval or to have changes made.We make sewn Army Cadet Force Flags in the regulation size,colour and fabric. The flag is embroidered and stitched using a Barton stitch. The flag is embroidered both sides and comes with a gold fringe. Our flags are stitched with strong approved thread for added strength. 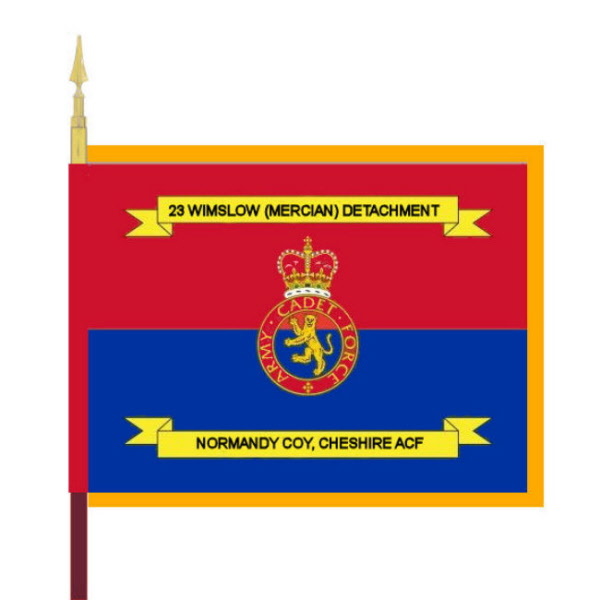 We offer a warranty on all our flags to give you peace of mind. Regulation size.Note these are not the cheap printed flags but quality embroidered standards which should last 25 years or more.